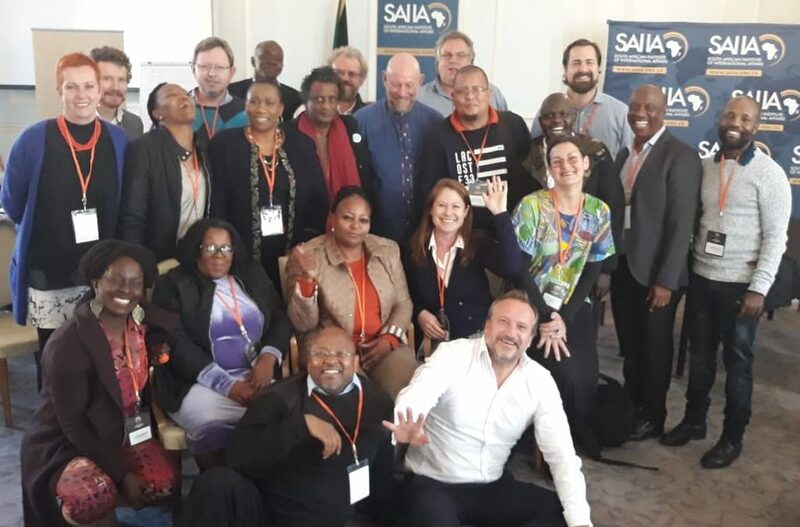 On 25 July 2018, Bev Russell and Tara Polzer Ngwato joined fourty experienced individuals from the corporate, investment, community, legal, civil society and academic arenas at Mining Dialogues 360’s multi-sectoral dialogue on the draft Mining Charter. The multi-stakeholder dialogue was convened in the wake of the provincial consultations on the Mining Charter 3 and the Mining Summit hosted by the Department of Mineral Resources (DMR) on 7 & 8 July 2018, in order to establish the extent of consensus or divergence across sectors on key issues in the Charter. The dialogue format provided space for experienced individual perspectives to be shared across sectors, without the constraints of organisational positions. There was unanimous agreement by all stakeholders across all sectors that the current formulation of the ‘free-carry’ shareholding will not benefit communities, will not be an effective mechanism for redress for losses (land, health, etc) due to mining and will discourage investment in new mining projects. Furthermore, the ‘free-carry’ provision is likely to lead to violent conflict as it raises expectations that cannot be met in practice. The Charter should focus on how CURRENT mining activities must support sustained POST-mining and NON-mining economic sectors. Regional SLPs and the inclusion of non-mining economic stakeholders will be key.